If farmers don’t stand up for themselves, policies and laws will be developed based on the great majority that does not farm. 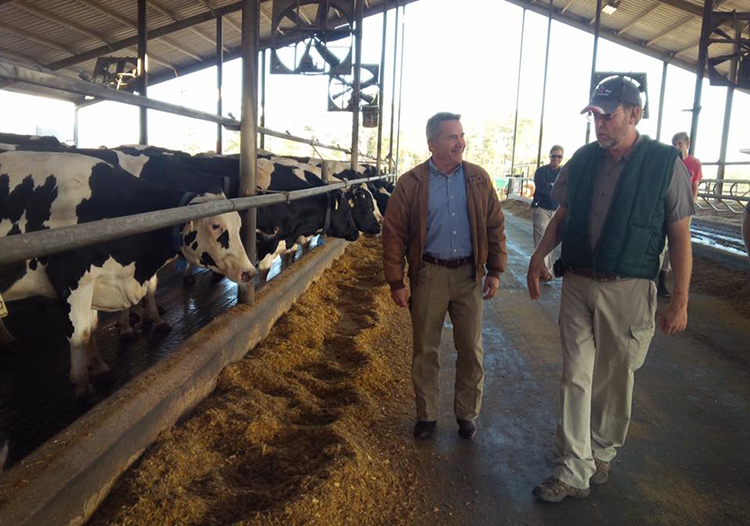 A few months ago we had the opportunity to host our congressman, Representative Jody Hice, at our dairy farm. He had great questions about our operation and asked what concerns we had that he might assist us with. We replied that finding quality labor and accessing affordable health care were at the top of our list. We don’t compete for labor with any nearby farms, but we are in competition with nearby factories like the John Deere assembly plant, the timber processing mills, and the kaolin (a type of clay) plants. We struggle to pay wages and provide benefits that can compare to these large manufacturing plants. We said that farms in Georgia need access to a workforce that does not mind weekend or nighttime milking. We explained that immigrant labor is sometimes all that is available and that it is a needed resource. We then discussed healthcare. I told the congressman I was fortunate and had great insurance through the hospital where my wife is a pharmacist. My brother, on the other hand, explained how his family’s rates have skyrocketed with both him and his wife working for the farm. My daughter, Caitlin, turned 26 and had to get her own policy. It’s minimal coverage and still at a high cost for a healthy lady in her twenties. All farmers struggle with these two issues, along with many others. Farmers represent 2 percent of the population, but if we don’t speak up, policies and laws will be developed based on the 98 percent of the population that that does not farm. Educate your representatives, both at the state and federal levels. You would be surprised that your congressman (even those from the cities) loves the opportunity to get their picture taken on a farm. Remind them that it’s the 2 percent that farm and feed 100 percent of the country. Mark and Caitlin Rodgers are dairy farmers in Dearing, Georgia. Their “Father and Daughter Dairy Together” column appears every other Thursday on HD Notebook. The Rodgers have a 400-cow dairy that averages 32,000 pounds of milk. Follow their family farm on Facebook at Hillcrest Farms Inc.